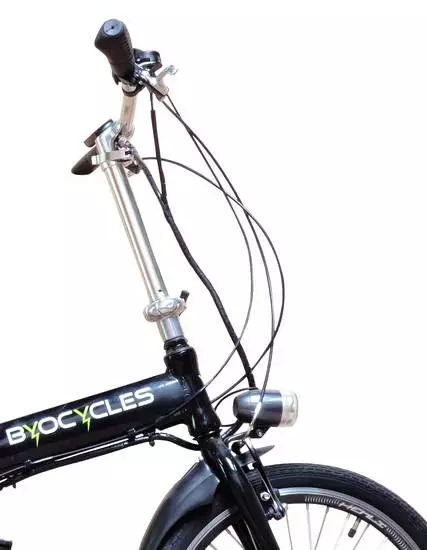 The Byocycles City Speed 20" Wheel Folding Electric Bike is a practical e-bike with flair. 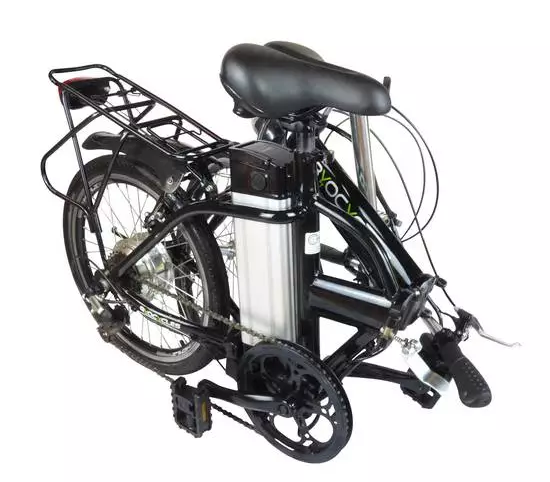 Simple to fold and transport and at an amazing price for a bike of this power and build quality. 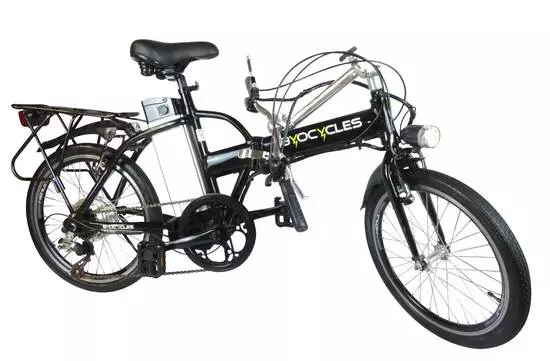 This compact but fully featured bicycle is great for cycling around town and your local area. It has a small profile when folded so you can pack it into a car or on a train. 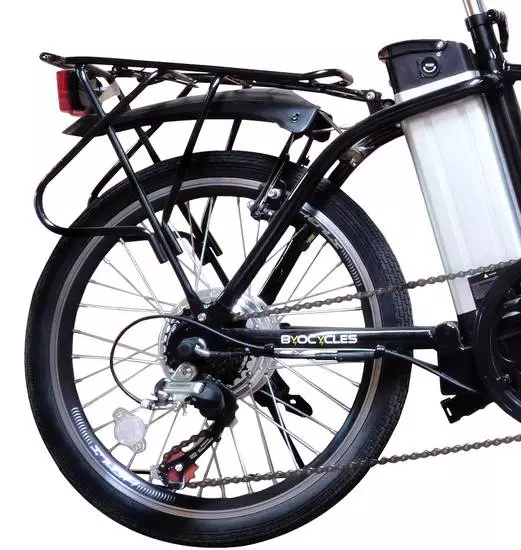 The practical e-bike with flair. 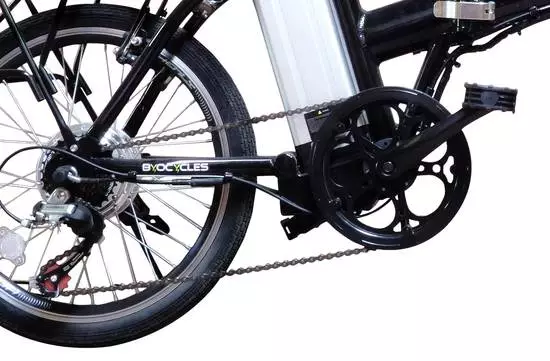 Simple to fold and transport and at an amazing price for a bike of this power and build quality. 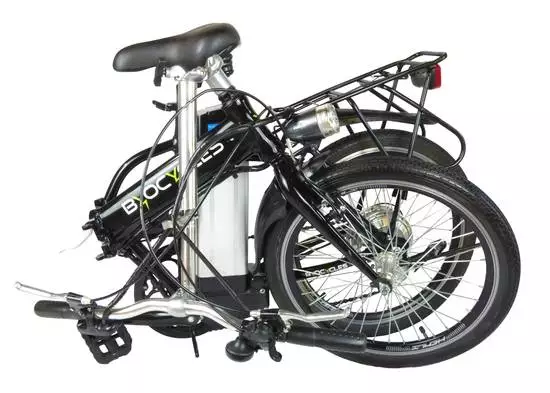 This compact but fully featured ebike is great for cycling around town or rural areas. It has a small profile when folded so you can pack it into a car or on a train. 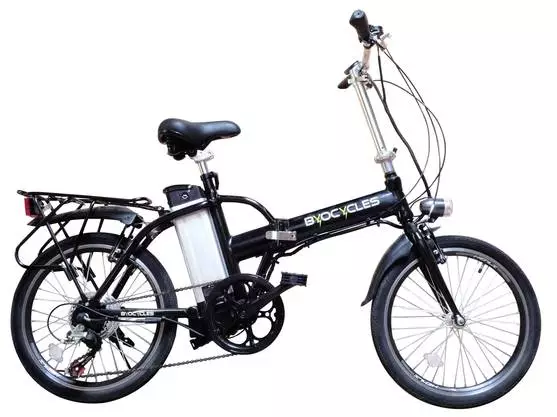 The City Speed is based around an 17 inch folding alloy frame with the fully detachable lithium battery fitted behind the seat post. The 3 point folding frame is light enough to be carried when the need arises. The 7.8Ah battery has a range of approximately 18-25 miles. The 10Ah battery has a range of approximately 28-35 miles whilst the 13Ah battery will take you to approximately 43-50 miles. With a charging time of 4-5 hours from flat you can easily charge at work during the day. 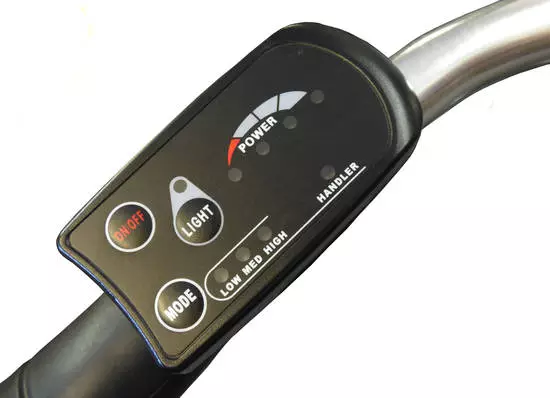 Controls are dealt with via a LED display panel with three levels of assistance along with a battery strength gauge and a light on/off function. This, in tandem with the 6 speed Shimano gearing, means you can benefit from graduating the power to suit any given gradient of terrain. 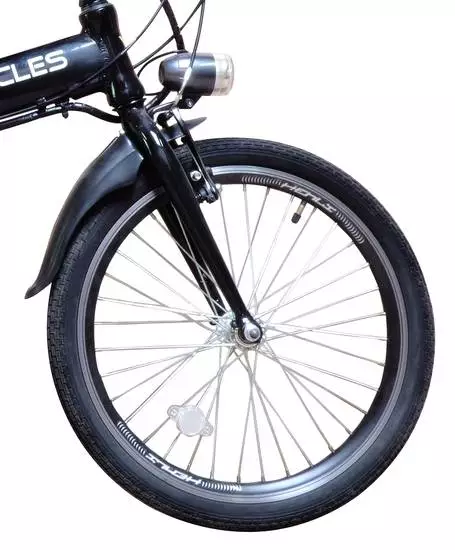 The brushless 36v - 250 watt motor is mounted within the rear wheel. Within one cadence of the pedals the motor kicks in and will remain so, up to 15.5mph (UK Restricted Law). Just by applying the brakes or by ceasing the pedal power, the motor cuts out, allowing you full control of this nimble folder. Attention to detail is what is on the cards for the City Speed, everything from the folding levers to the wheel set with double walled rims and stainless steel 14g spokes have been carefully chosen to be strong and long lasting, but also light. This is reflected on the scales as it weighs in at an impressive 20kg (including battery). Gear componentry is looked after with Shimano, (TZ40 derailer and TX30-6R gear lever) along with a KMC branded chain. 20" Double Walled Alloy Henli rims are fitted with Duro Urban 20 x 1.75 tyres which are stopped with Winzip V-Style brakes. Fully featured, an industry standard 36v 7.8Ah/10Ah/13Ah range package, practical and at a great price. 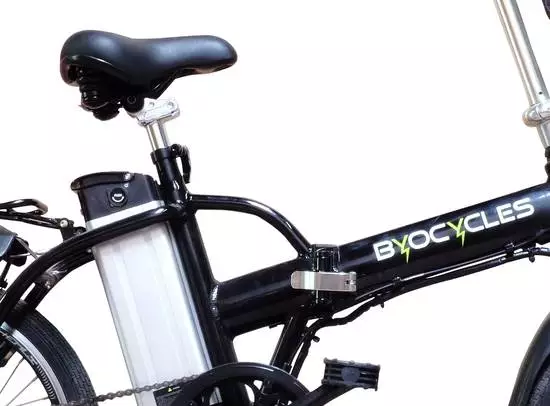 The Byocycle City Speed is a worthy consideration. Unfolded - Height 41" Length 58" Depth (Handlebars) 25"
Folded - Height 30" Length 33" Depth 17"